The 2014 International Home + Housewares Show landed at Chicago’s McCormick Place last month and show officials reported very high attendance by buyers and significant growth from the international markets. The show's 2,100 exhibitors included 435 new vendors and more than 10,000 new products were displayed this year. Hinda’s own buying team was on the show floor and reported back with some of the new items they’re most excited about this year. New releases from KitchenAid®, Keurig® and Vitamix® have Hinda’s buyers buzzing. KitchenAid has entered the fast-growing home carbonation category with the introduction of the Sparkling Beverage Maker, a premium countertop soda maker developed in collaboration with SodaStream International, Ltd., the world’s leading manufacturer and distributor of home carbonation systems. KitchenAid also showcased its Pour-over Coffee Brewer – elevating the traditional coffee maker to another level. Pour over brew technology staggers water flow to fully optimize flavor extraction, a technique that is becoming increasingly popular among coffee aficionados. Rather than heating the water in increments as standard coffee makers do, the Pour-over Coffee Brewer heats all of the water in the tank to 200-degrees prior to releasing it into the brew basket. By intermittently pouring and pausing the water flow over the coffee grounds, just as a trained barista would, this new model extracts flavors at a more finely calibrated pace than traditional coffee makers. Speaking of coffee, Green Mountain Coffee® and Keurig brewing technology announced their new K-Carafe capability for its Keurig 2.0 Brewing System, available in Fall 2014. Keurig 2.0 brewers will be the first system to brew both one cup using a single serve pack and a carafe of coffee using the new Keurig K-Carafe pack. 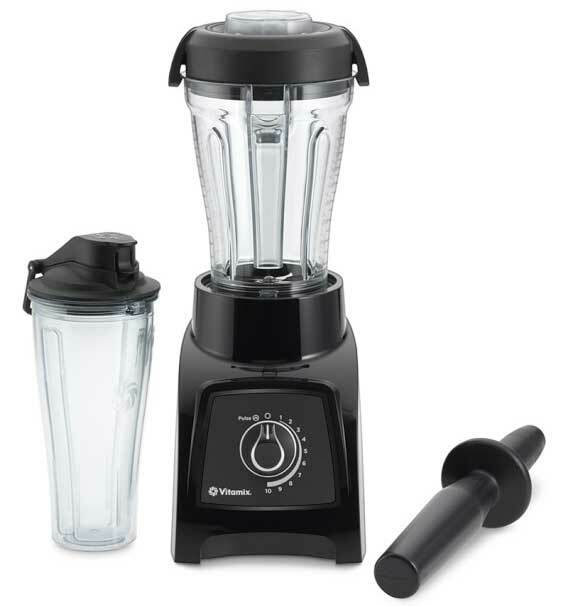 Vitamix is redefining the personal blender with its S30, featuring variable speed control and pulse. The S30 makes it easy to create individual servings and small family meals it its 20-ounce travel up or 40-ounce pitcher. Create small batches of soups, sauces, frozen desserts and more. 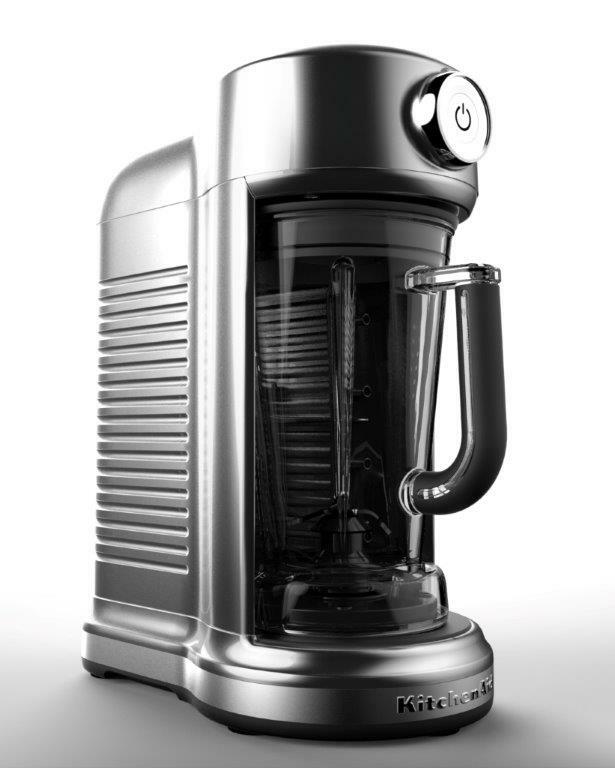 KitchenAid is also reinventing the blender with the introduction of an ultra-powerful, first-of-its-kind blender that replaces the manual locking system with an interlocking magnetic drive system to power its blades and safely secure its jar. A thoughtfully designed magnetic coupler connecting the motor to the pitcher powers the blades and allows for a flat, smooth base with a front-load design. Instead of a complicated locking system that requires twisting and turning to connect and remove the pitcher from the base, the magnetic system allows the pitcher to easily glide in and out from the base. These products are so new that they are not yet available at Hinda, but be sure to keep it tuned to Hinda Blog and our “Merchandise Monday” column for regular updates on these and other great new products arriving in our assortment!